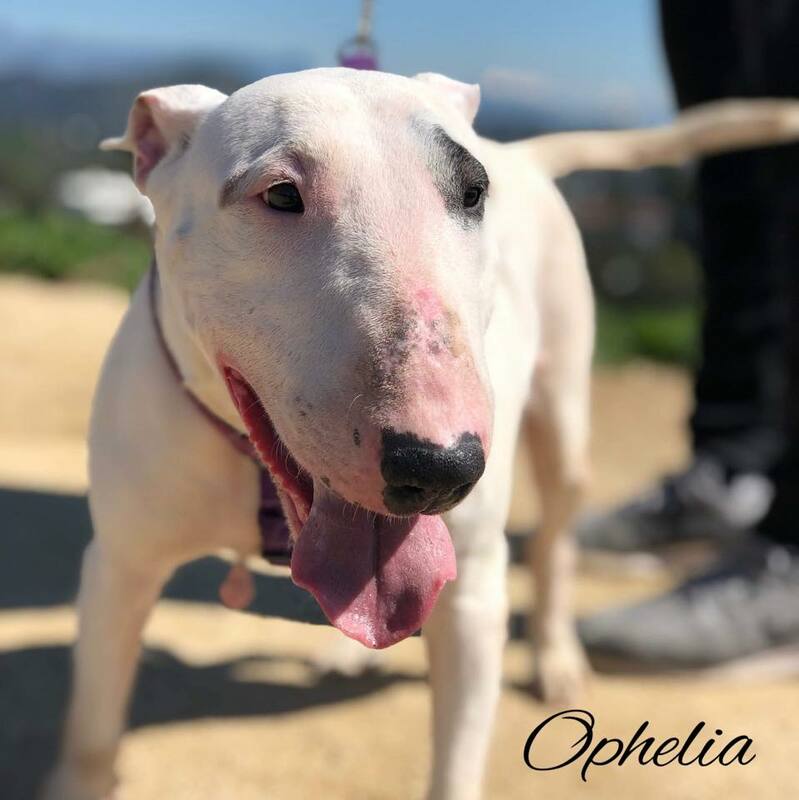 Available – Special Needs | Bull Terrier Rescue, Inc.
Ophelia is a very sweet and laidback girl who’s about 4 to 5 years old and 41lbs. She is wonderful with dogs and children. 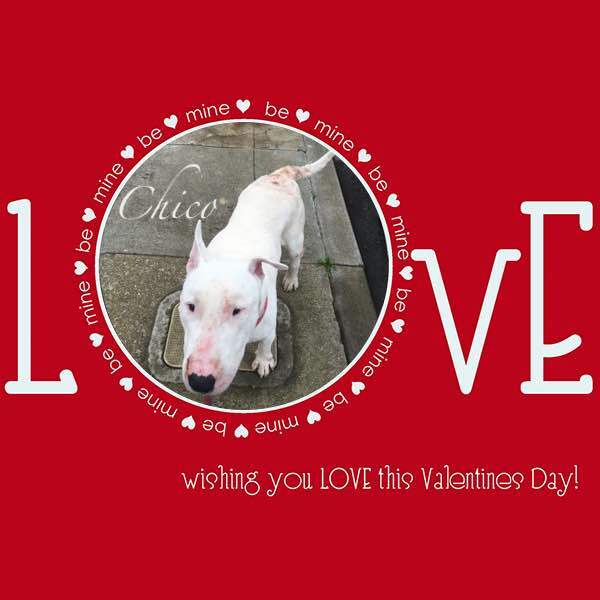 This little cupcake is a wonderful one for a first-time Bull Terrier owner as she is so laidback and cuddly. 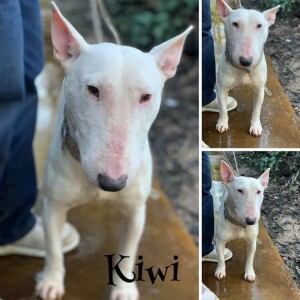 If you’re interested in this sweetie pie, please complete our online application (http://www.bullterrierrescue.org/?page_id=572). 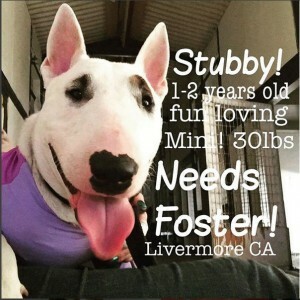 Please contact Suz at suz@bullyhaven.org or 415-672-7391 if you have any questions about this little cupcake. 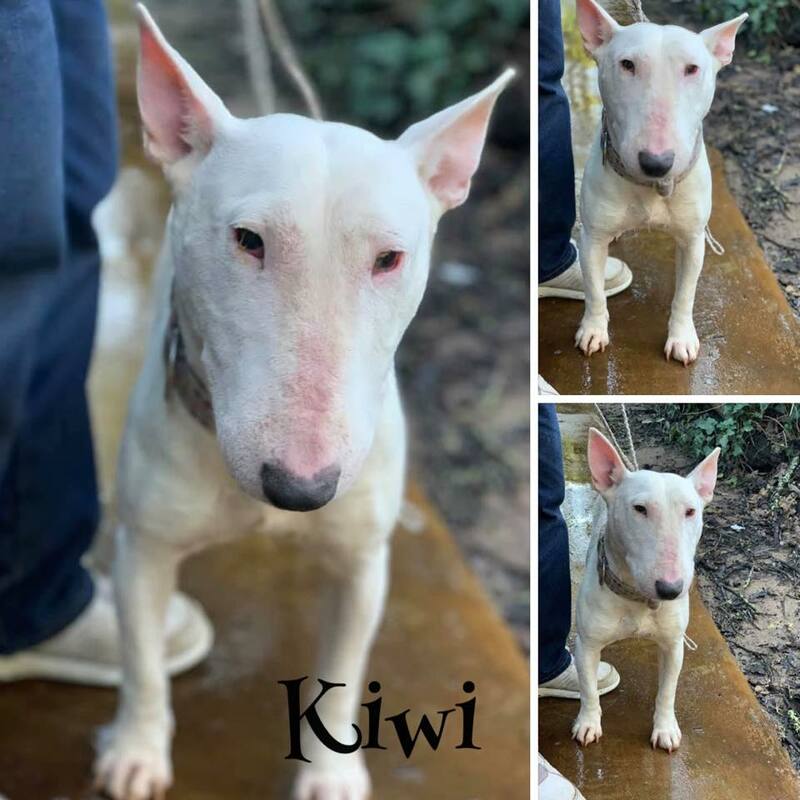 Kiwi is a delightful girl who happens to be deaf. She’s so attentive to you because she doesn’t want to miss out on anything. This dumpling is about 3-4 years old; and she weighs about 40lbs. She is crate trained but may need a refresher on leash and house training. If your information is not yet on file, please complete our online application (http://www.bullterrierrescue.org/?page_id=572). 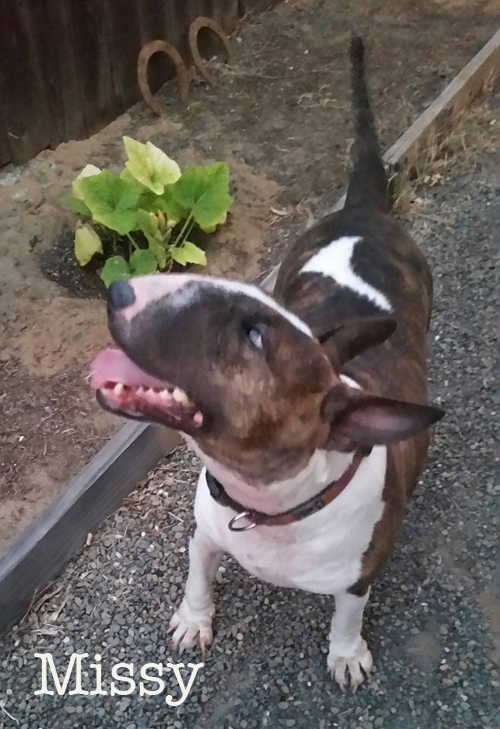 Please contact Suz at suz@bullyhaven.org or 415-672-7391 if you have any questions about this sweet girl. 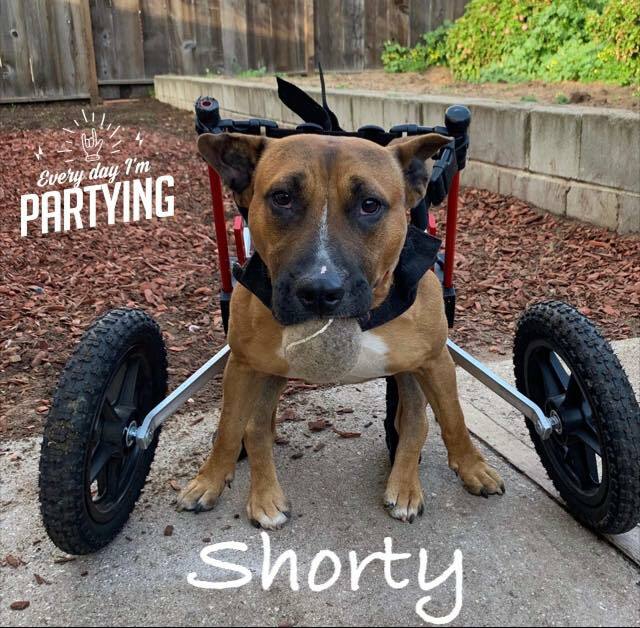 Molly’s also in the Special Needs category but she can fly up and down stairs and zoom around like she still has four legs. She’s a very delightful little girl! Missy in Sebastopol, CA – Adopted! Hey y’all, my name is Missy. I have the most active personality and I need some help with not getting over exerted. I have a heart murmur that doesn’t want me to get too excited. My mind says “Go!” but my heart says “Whoa!”. It’s going to take someone special who really wants to take care of me. I am 4 years old and around 50lbs. I need some reminders about my manners but I’m good at listening. I love to do anything for treats! I like hanging out with mellow male BTs. They are more my style. 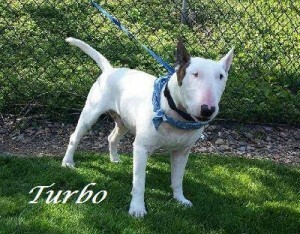 Turbo is a super sweet deaf guy who also has microphthalmia. This condition consists of an eye that is smaller than the other. Usually, the internal structures of the eyeball are abnormal as well; and the eyeball can gradually shrink and be reabsorbed. It is likely that he is partial or completely blind in that eye. There is no treatment for this condition and dogs lead normal, wonderful lives. Cataracts may develop and removal of the eye (enucleation) could be a possibility in the future. An Orange Coast Bull Terrier Club member evaluated him on Thursday and wanted to take him home!!! You’d never know that he’s deaf and may be visually impaired in one eye as he is so affectionate and is the happiest little guy. Turbo is about 2-3 years old and weighs about 35lbs. He wanted to play with other dogs in the shelter and has not met any cats during his stay there. Turbo may need a refresher on leash and crate training; the shelter reports that he is housebroken. Is there room anywhere for this little clown? If your information is not yet on file, our application can be found here: http://www.bullterrierrescue.org/?page_id=572. Thank you for any consideration! Welcome to the Hayworth Show! This lovable 66lb guy is deaf but you’d never know it! He’s unflappable with chickens and other dogs but will get quite worked up when he sees cats. He loves to climb on laps; and he’s a total massage addict! Hayworth is about 3-4 years old. He’s crate and house trained but will need a refresher on leash manners as he tends to tug during walks. He’s a messy eater, drools a ton, doesn’t care for toys and is a total DORK! He can have stubborn streaks during walks so be prepared to coax him back to walking mode. What can we say? The world revolves around Hayworth as he is irresistibly SPECIAL! 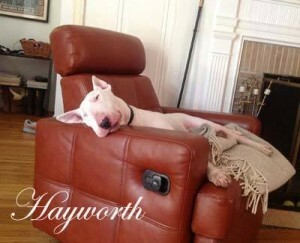 More pictures of Hayworth can be found in his Facebook photo album. Roxie was involved in an incident where she grabbed a tiny Shih Tzu and shook it. The Shih Tzu did not die from the injuries but they were severe and the chances of her surviving surgery were not good so she had to be euthanized. 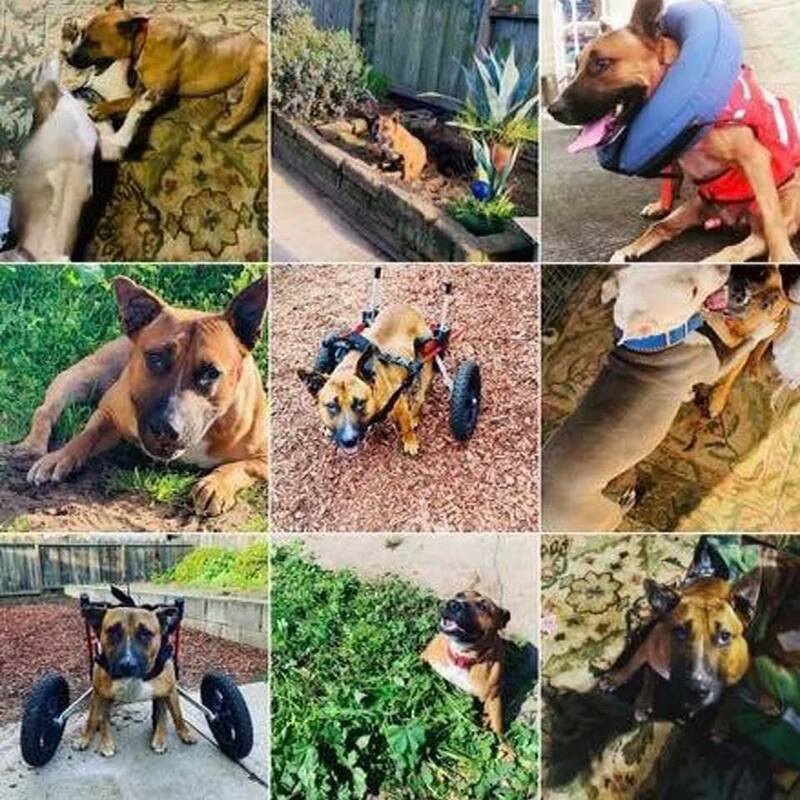 Due to this incident, sweet Roxie has been designated a “Vicious” dog in the county of San Mateo. She is a very loving and affectionate girl with people and can be good with medium/large dogs on a short-term basis as long as there is a slow and careful introduction. We are looking for a special home for Roxie – a bull breed savvy home located in a jurisdiction outside of San Mateo without restrictive requirements for dogs carrying her label. This little lovebug is 4 years old (born April 2010); and she weighs about 45lbs. She can be sound sensitive and will alarm bark at noises that she perceives as irregular or are threats/intrusions (she has re-directed at other dogs by growling at them). For this reason, Roxie’s ideal home is one where she’s the only pet. She has been great with the 11yo boy who was her best friend in her former home. 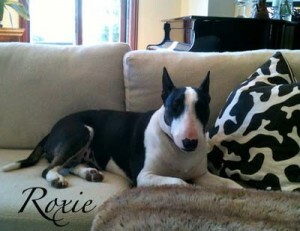 Roxie is crate, leash and house trained. 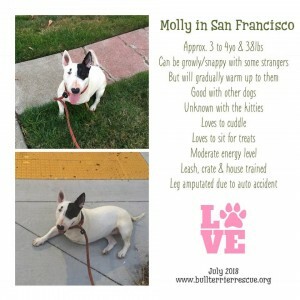 She is fostered in San Francisco.